Rolling Thunder kicked off the Memorial Day weekend celebration early. Dozens of people helped make and deliver meals to veterans in Takoma Park Thursday for the Meals on Wheels program. The organization said it lost volunteers because of skyrocketing gas prices. 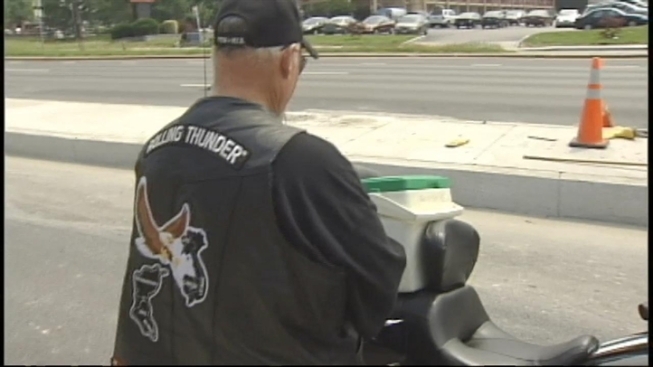 Members of Rolling Thunder’s Chapter 1 were glad to help out. On Sunday, tens of thousands of men and women on motorcycles will cross the Memorial Bridge for the annual Rolling Thunder event. The Rolling Thunder demonstration started in 1987 as a way to bring attention to those missing in action and prisoners of war from Vietnam.